With virtually the same resolution as its predecessor, it comes as no surprise that the Nikon D5200 is also able to resolve a high level of detail. With the Sigma 105mm f/2.8 macro lens mounted and set to f/8, and the camera set to ISO 100, it is possible to discern the lines of our resolution charts all the way to the 30 marker, which is an impressive performance for a camera at this level. 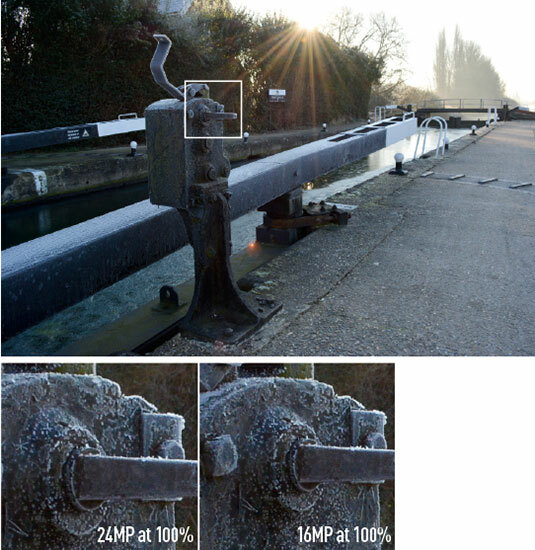 Generally, when scrutinising detail in JPEG images, taken with the 18-55mm DX f/3.5-5.6G kit lens and viewed at 100%, images are a little soft and require a touch of post-capture sharpening. Alternatively, in the picture control where the colour mode is set, one can manually adjust the sharpness on a scale of 0 (soft) to 9 (sharp). 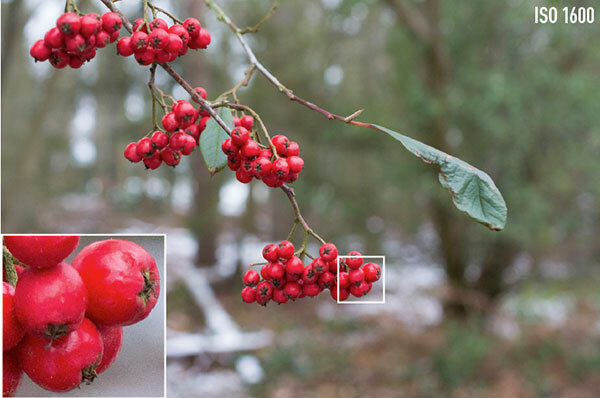 For those who want to get the most out of this high-resolution sensor, a decent lens will help. That said, with such large images (when sized at 100%), there is scope for downsizing. For example, make an A3 print (which is around 70% of a full-resolution file), and detail appears sharper. Of course, it is also possible to achieve sharper detail when using raw capture, and this is advised in order to get the most out of the D5200. When compared to the D7000, which has only a 16.3-million-pixel resolution, the D5200 outresolves it at the low sensitivities, but push the cameras to their limits and the D7000 is better able to hold its performance – especially handling the levels of noise. At ISO 6400, both cameras reach the 24 marker, but noise is more uniform in the D7000 and therefore detail looks crisper. However, this is from a direct comparison. Display the D5200 image at the same size as one from the D7000 (around 70% of its original size) and image defects are less apparent. Even in this case, though, the D7000 still has the edge for low-light performance.